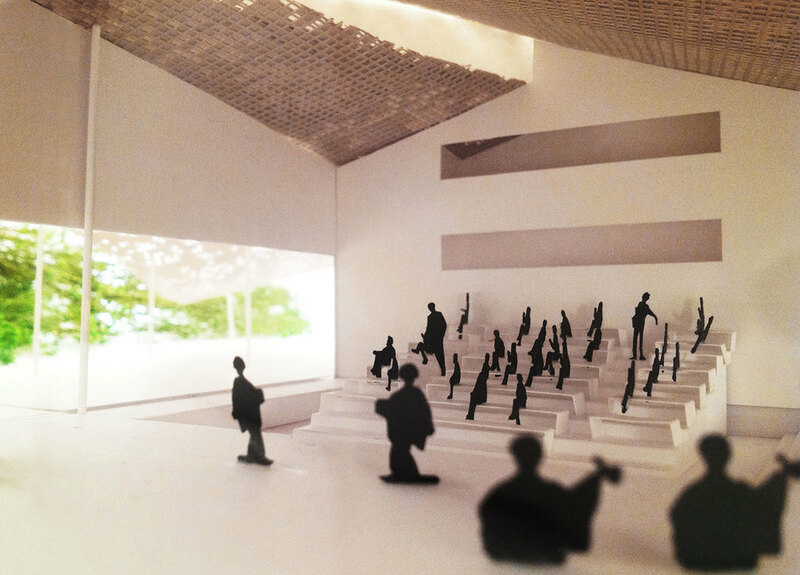 This is the competition proposal for a traditional performing arts center located in Izunokuni-shi of Shizuoka prefecture. In order to regain the bustle in this deserted town, we have proposed a place where the townspeople can gather. We shade the whole site with what we call the “Light Trellis.” People will be gravitated to the bright, comfortable semi-outdoor space and start to gather. At the same time, handling the hustle and bustle of the crowd with devices dotted around the area. 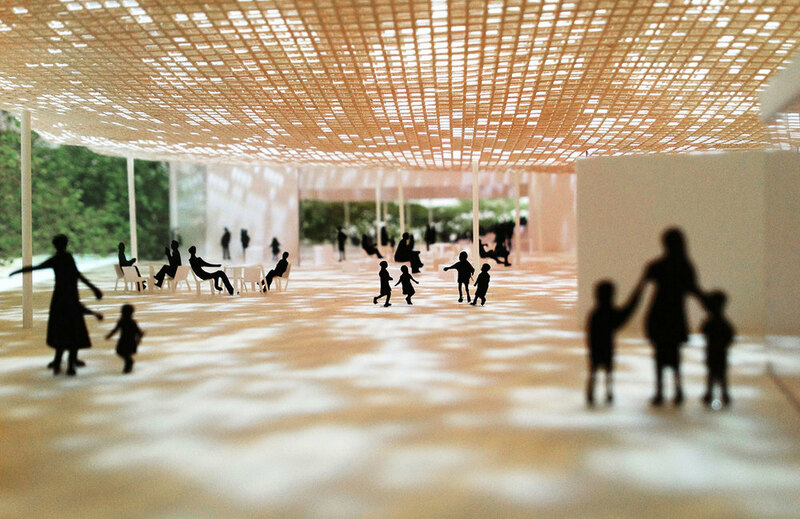 The space under the “Light Trellis” will be a park where all can enjoy. It will also house a training studio and a market where people can sell fresh vegetables. 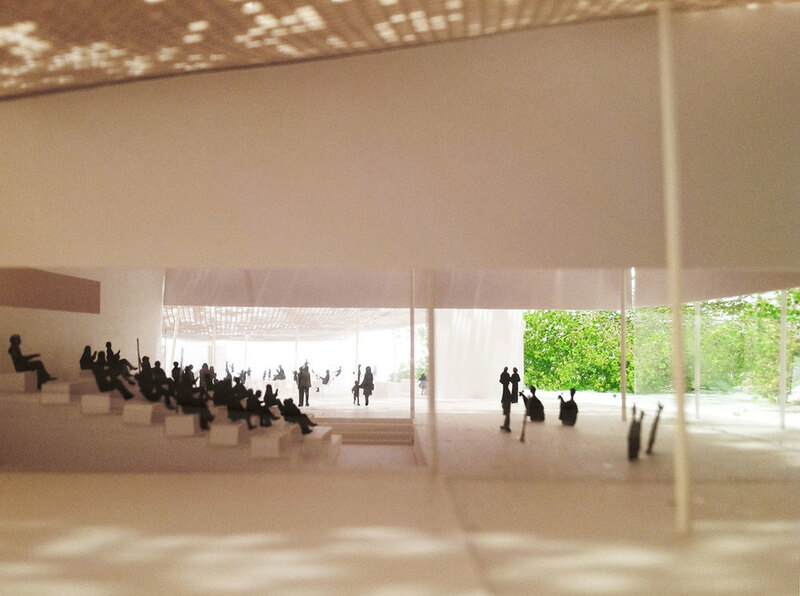 The interior and exterior comfort will be increased by the environmental, load-reducing “Light Trellis.” We hope the closed architecture itself will be open to the town. Copyright (C) Ryu Mitarai & Associates, Architects All Rights Reserved.